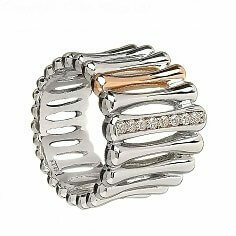 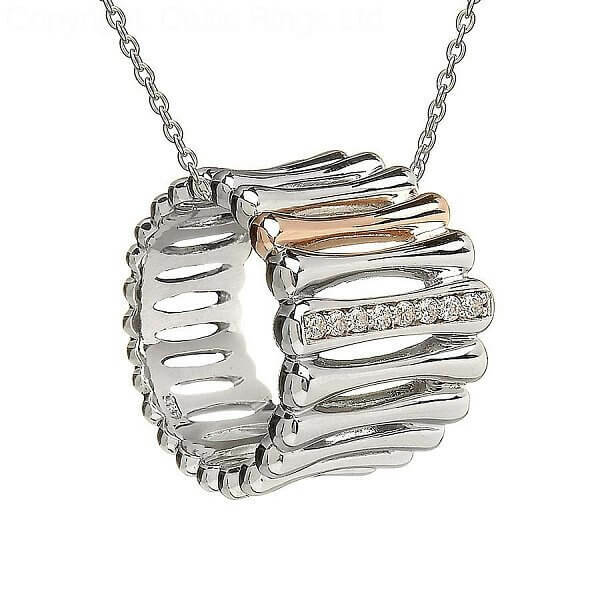 A contemporary pendant crafted from Sterling silver and rose gold, lined with cubic zirconias for additional sparkle. 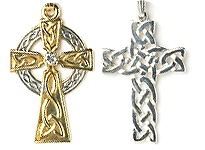 One of the bars is made from rare Irish gold that has been mined in County Tyrone under licence. 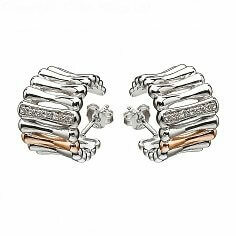 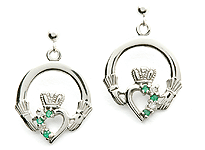 Also available are matching earrings and ring, to complete the set. 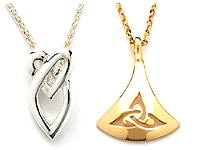 This pendant comes with free luxury packaging and a certificate of authentication. 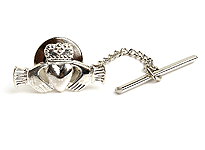 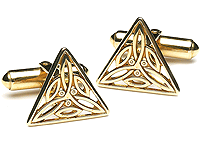 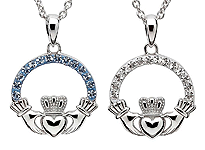 As with all our jewelry, it is hallmarked by the Dublin Assays Office - your mark of quality.